A few months ago, we revisited a place that we had discovered, quite by accident, a couple of years ago. 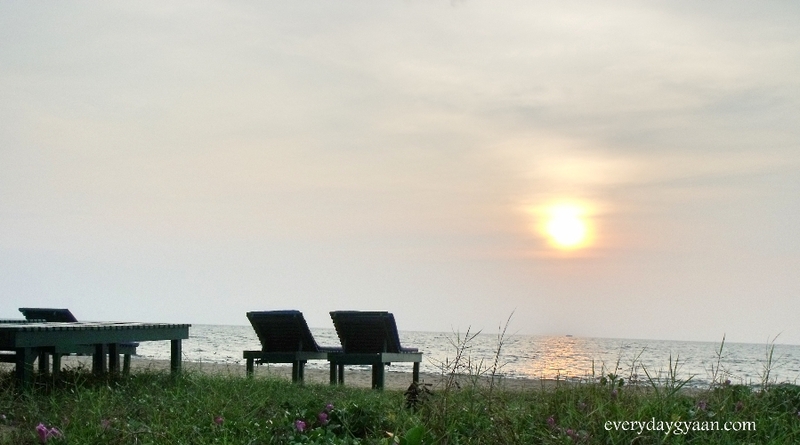 We had so enjoyed our laid back holiday in enchanting Cherai, Kerala that we just had to revisit it! Cherai Beach on Vypeen Island, would count as a natural wonder blessed with the sea and the backwaters within a couple of hundred yards of each other at some places on the island. With the Perriyar river flowing in the east, the Arabian Sea lapping the shore in the west, a backwater called Lake Poyil lies between the two. Cherai beach itself is over 10 kilometers long, which makes it one of the longest stretches of beach in Kerala. 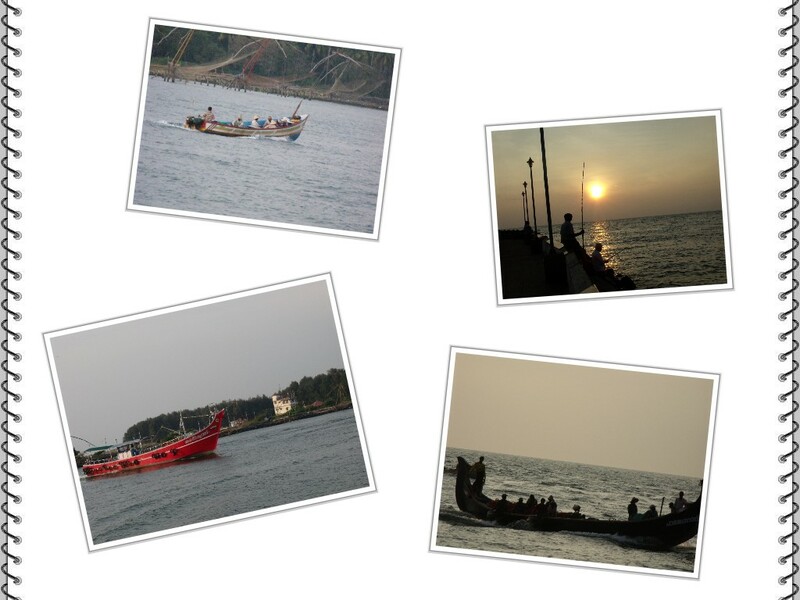 And though it is just 25 kilometers from Kochi, as you drive towards Cherai you are transported to a different world. 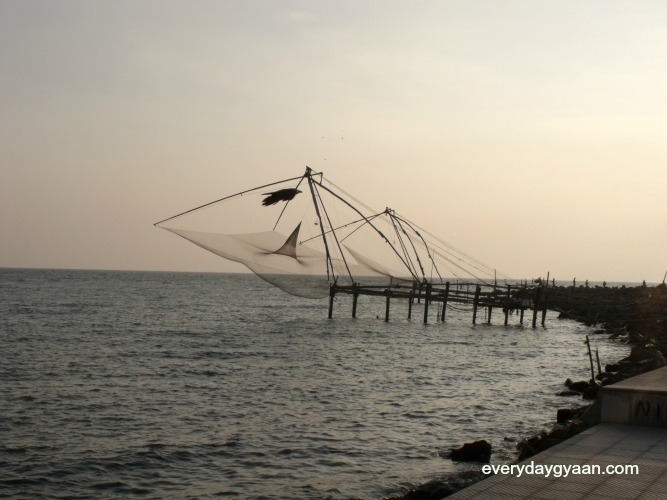 As a result of the unique geographical proximity of the sea, river and backwater, you have on offer kilometers of shoreline with quiet and secluded beaches, acres of coconut groves and long stretches of backwaters where fishermen continue to use the traditional Chinese fishing nets. The history of Cherai is a reflection of the history of India; European powers like the Portuguese, the French, the Dutch and the English vying with each other to control the spice trade and exploiting the differences between various local rulers in pursuit of their goal. The Portuguese were the first to arrive in this area around 1500 when the explorer, Vasco da Gama discovered a sea route to India and landed in Calicut on 20 May 1498. Soon thereafter, taking advantage of the rivalry between the Zamorin of Calicut and the Rajah of Cochin, the Portuguese were able to establish a foothold in Cochin or Kochi. 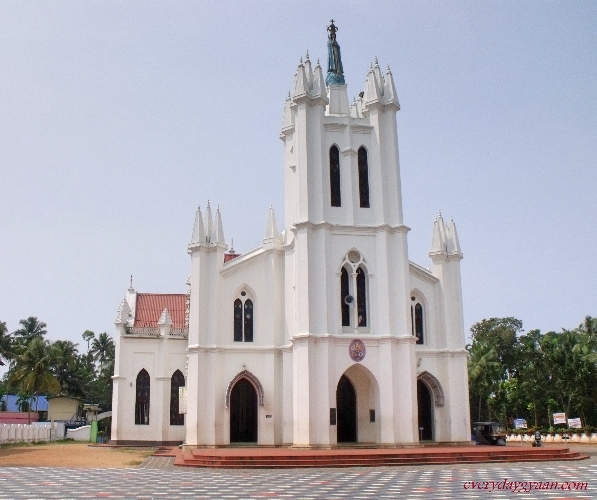 Besides constructing a fort in 1503 and a church in 1507 in Pallipuram at the northern end of the Vypeen Island, the Portuguese also established the famous Vaipakkotta Seminary and Jesuit Monastery in 1574 where the first printing press in Kerala was started in 1579. As a result of continuing hostilities with the Zamorin of Calicut, the Portuguese hold in Kerala became tenuous and they were eventually ousted by the Dutch in the seventeenth century. The Dutch, in turn, held sway till 1795 when Dutch Settlements in Kerala were surrendered to the British for ‘safe keeping’ to prevent a take over by the French. The economy of Cherai is intrinsically linked to fishing with several boat yards, ice factories and food processing units situated around the harbor providing employment to the local population. 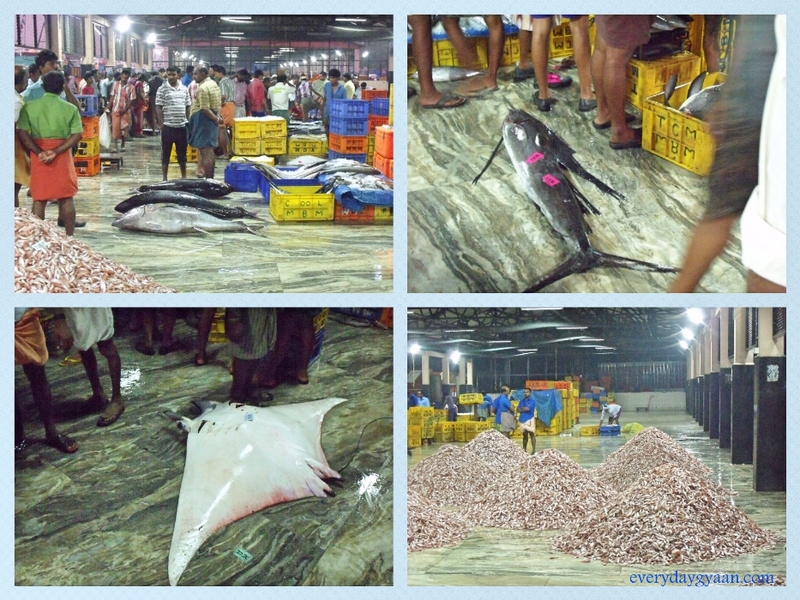 Munambam, one of the major fishing harbors in India, is at the northern end of the Vypeen island and the best time to visit the harbor is very early in the morning when the trawlers come in with a fresh catch of fish and to witness the traditional auction of the lots of fish that takes place. 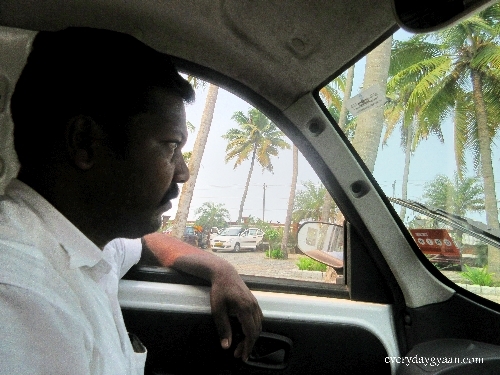 So around 4.30 one morning, we left the resort in in an auto or tuk-tuk piloted by Biju. Notice the ‘Be Kind‘ sticker I stuck on Biju’s auto-taxi! By the time we reached the harbor, the unloading of the fish was well underway and the auctions were taking place. It was most interesting to look at the boats coming in, being emptied of the catch, being cleaned and the auctioning process. We considered ourselves lucky to have had this experience. What particularly struck us was the friendliness of those around. No one seemed to mind the two of us scurrying around with our cameras trying to get the best shots. 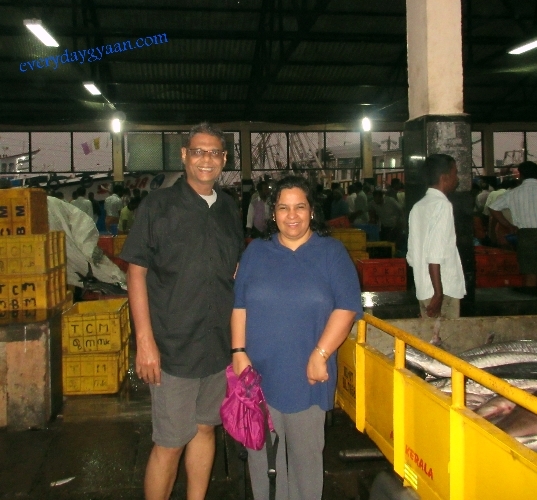 In fact, just outside the wharf, one auto driver asked us to pose together while he took our photo. Quite close to the Munambam Harbor is the Munambam beach and the Breakwater point, where the Perriyar river flows into the sea and must be visited just before sunset. We spent over an hour at sunset at the breakwater point taking pictures of the local fishermen fishing with rods and tackles as also others in their traditional canoes and small boats with outboard motors. 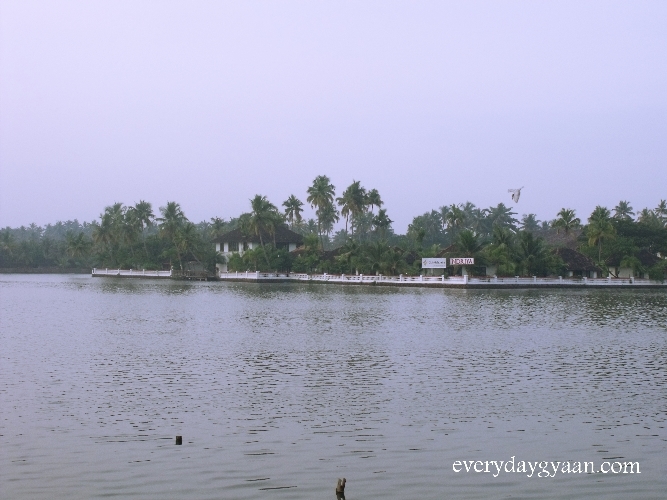 And as you gaze across the estuary you can see the neighboring district of Thrissur. Two other places of interest that warrant a visit, from a historical perspective, are the Manjumatha Basilica also known as the Basilica of Our Lady of Snows and the Portuguese Fort, both of which are located in Pallipuram en route to Munambam. We spent a morning visiting these two places. We found the Basilica and its precincts, including a church that was first built by the Portuguese in 1507 and rebuilt by the Dutch, are well maintained. 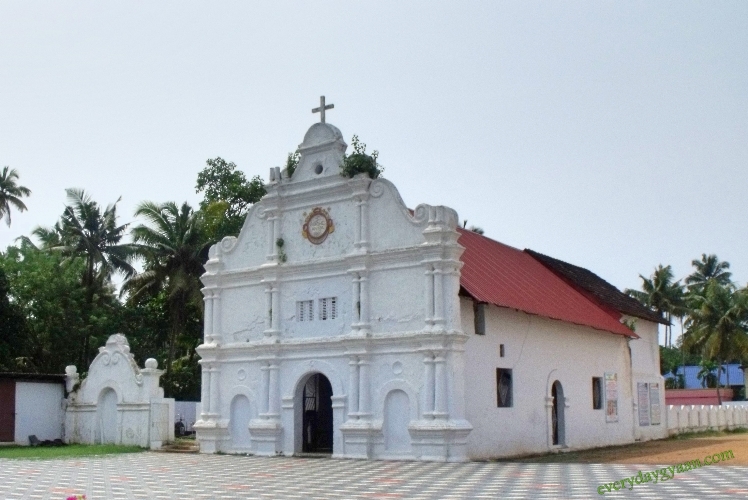 Local legend has it that in April 1790 when Tipu Sultan’s invading army was camped on the banks of the Perriyar river near Aluva, the locals took refuge in the church and prayed for divine intervention. And their prayers appear to have been answered when miraculously, a mist spread around the church leading Tipu Sultan to believe he had reached the sea and he withdrew. To honor this miracle, the locals called the church to Manjumatha or Our Lady of Snows. Maybe the clue as to why the Basilica is so well maintained can be discovered on translating the word Pallipuram, which in Malayalam, means ‘Place around the Church’. According to the records this name predated the arrival of the Portuguese in the area;. it is amply clear that there were Christians living in this area who had constructed a church, around which they lived. Given the fact that the Apostle Thomas came to South India in the first century AD to preach, this is hardly surprising. And in the cemetery attached to the old church built by the Portuguese we discovered on the tombstones of some very recent graves Portuguese surnames, like Pinheiro, leading us to conclude further that there exists a vibrant Catholic community that still take pride in their Portuguese heritage. Once again, we experienced the innate friendliness of the people of the place; the watchman opened the old church for us to look around and take pictures and I believe even cajoled the verger to ring the bells in the old fashioned belfry a couple of minutes before noon, just for our benefit. We were given to understand by the locals that the annual feast at the Pallipuram church with an accompanying fair is the high point of life in Cherai and spreads over fifteen days. Some of the major attractions at the accompanying fair are a procession of fishing boats, sale of fishing nets and fire work displays. Fishermen from around believe that nets bought on the occasion lead to good catches. Incidentally, the church was elevated to the status of a Basilica only in 2012 following a decree issues by Pope Benedict XVI. While the Basilica and its precincts are well looked after, the same cannot be said about the Pallipuram Fort, built by the Portuguese on the banks of a tributary of the Perriyar river, which lies in a derelict state, as can be seen from the photograph. 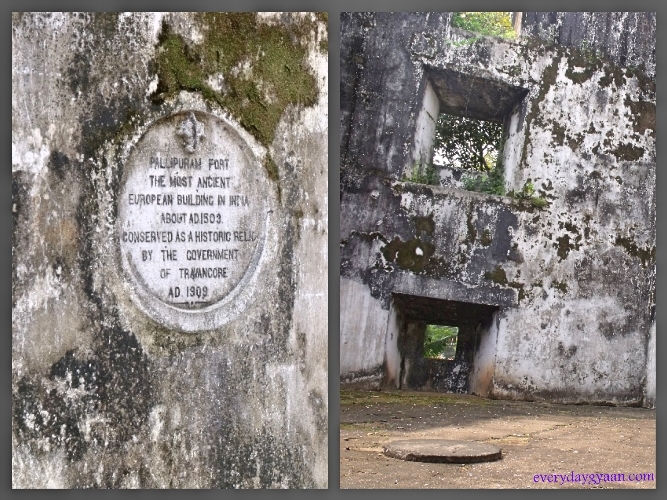 The fort was constructed by the Portuguese in 1503 and is the oldest European fort in India. The fort itself is a hexagonal structure. The walls of the fort are 34 feet high and each of the eight faces is 32 feet. The main purpose of this fort was to monitor the traffic on the Perriyar, to and from the what is the present day Munambam port. Within the fort there is an underground cellar, which opens into an underground passage. Locals claim the passage led to the Kottappuram or Cranganore Fort in Kodungallur, in Thrissur district built by the Portuguese in 1523 at the mouth of the Perriyar river where the ancient Muziris sea port is thought to have existed. However, it is more likely that the underground passage let to the nearby river front and was used to bring in provisions and facilitate movement to and from the fort during hostilities. It is indeed shameful the way old monuments and structures of historical significance are allowed to deteriorate in India. Maybe its time the Archeological Department is closed down and some private trusts are entrusted with the upkeep of such places. Though we have visited Cherai twice, there is one famous attraction that we have not visited as yet; the Varaha temple that is famous for its wood carvings of Lord Vishnu, silver palanquin and a temple chariot or rath that runs on wheels. Traditionally, a chariot festival takes place twice a year and involves the rath being pulled by devotees around the temple accompanied by drum beats. 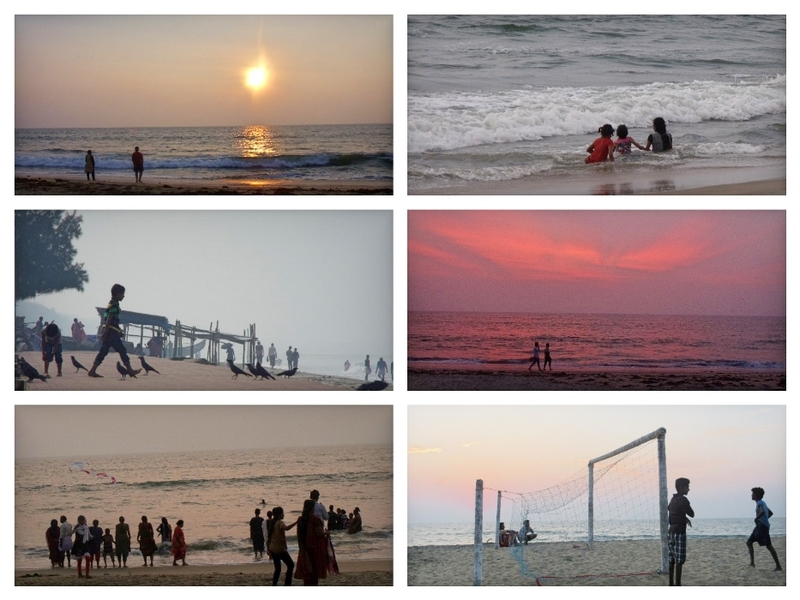 Whilst you may or may not visit these places, the main attraction in Cherai is the main beach. We have been to many beaches in India, but nowhere do you find the same festival type atmosphere like in Cherai. We spent many pleasant evenings, over two visits, on the promenade of the main beach watching the hordes of people enjoying themselves while fishing boats chugged north towards Munambam with the setting sun acting as a backdrop. Usually, beaches at tourist destinations like Goa are filled with holiday makers; in Cherai it is different. Soon after noon, buses and cars start arriving and whole families or groups of friends disembark and make a beeline for the shore. And they all have lots of fun swimming or just playing around in the shallows, fully dressed, secure in the knowledge that the local restaurants have shower rooms where they can shower and change, for a price. Children play in the sand or fly kites that are on sale. Those who are not in the water relax sitting on the promenade eating ice cream or munching some snacks that are available at the numerous kiosks or street food vendors. When on a holiday, as a rule, we try to eat at places which are patronised by the locals. In Cherai, a short walk from the resort where we stayed brought us to the main beach where there are a number of small restaurants, snack stalls and street-food vendors. On our second visit, we discovered Lilliput, a restuarant which had opened a couple of months earlier and is run by Varghese Paul, a graduate from a catering college, assisted by his parents. We went there on the first evening of our stay and were so taken up with the food and the ambiance that for the rest of our stay in Cherai we ate at least one meal everyday in Lilliput. What made us keep going back to the place, besides the attraction of eating in the courtyard, was the large selection of local dishes. With the help of Varghese we sampled Nadan kozhi curry (chicken curry), Kanthari chicken (chicken dry fried in coconut oil and small green chillies), Koonthal fry (deep fried squid), meen Mulakittathu Shappu style (fish curry), Vendakka Mappas (okra with a coconut base). We also sampled Vallam curry fish – the kind of preparation the local Vallakaran (boat men) make to carry on their fishing expeditions. Besides Liliput, another place to sample the local cuisine is the Holiday Hotel that is located in nearby Cherai Junction, a couple of kilometers from the beach. Here too, the menu has a selection of Kerala food, including a number of pork dishes. If you love your pork with lots of fat, this is the place to visit. Breakfast, though, can be a bit of a problem at Cherai Beach, since most of the restaurants cater to day tourists and therefore open only around lunch time. 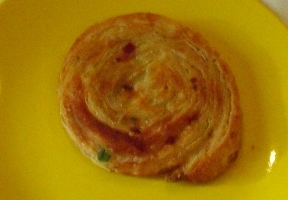 So, rather than eating breakfast in the resort, we used to stock up sweet parothas that we had with tea/coffee in our room. When we really felt like indulging ourselves, we either took an auto to Cherai Junction, where we had breakfast at the Holiday Hotel. Or we walked down to Blue Waters a three star hotel just off the main beach that offered a buffet breakfast, which meant skipping lunch at Lilliput. After reading this post, many of you will be wondering how to get to Cherai. But given its proximity to Kochi, which is well connected to the rest of the country by air and rail, getting to Cherai is a breeze. If you fly in, the airport is around 27 kilometers away with prepaid taxis available. Or if you arrive by train, Ernakulam Station is 28 kilometers from Cherai whilst Aluva is 23 kilometers away. Or after a pilgrimage to Guravayur, you have to drive some 55 kilometers. And staying is not an issue, with lots of accommodation available to suit every budget; from home stays that offer home cooked meals to three star hotels with conference facilities and five star resorts, you can take your choice. 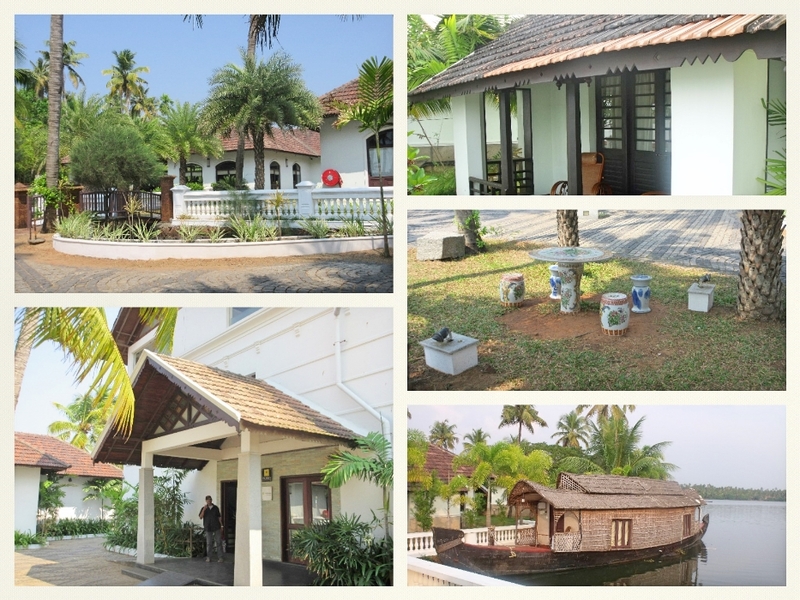 On both occasions we visited Cherai, we have stayed at the Club Mahindra timeshare property, known locally as the Indriya Beach Resort. This is a five star property where local architecture has been tastefully incorporated. All the rooms are equipped with modern amenities like an air conditioner, television, tea/coffee maker, mini-fridge and 24-hour hot & cold water. The eastern side of the property is the Poyil Lake whilst the opposite side overlooks the beach. On our second visit we we were allotted a room on this side and through the large bay window we got an excellent view of the sea throughout the day. We are frequently asked why we keep going back to Kerala for holidays and I guess that an important reason, besides the sheer beauty of the place that is sometimes also referred to as ‘God’s Own Country’, are the people. They are friendly, helpful, without trying to exploit a tourist, as is the case in some other major tourist destinations in India. They are quite willing to pose for a photo or assist you with directions. In fact, we were pleasantly surprised when some of the small shopkeepers and vendors remembered us from our earlier visit. I can see us revisiting Cherai again! Wow! Cherai has a LOT to offer. Love the scenic beauty of this place and the food looks absolutely yum. KG would love trying out the pork dishes! I hope you find it as lovely as we did, Shilpa. It’s sad how fast tourists can spoil destinations! Now i feel as if I know Cherai via your excellent information and pictures. I found the island of Bali very similar in many ways. Thank you for the virtual tour. Beautiful Corinne ! the places looks calm, serene and sure worth visiting this place.. 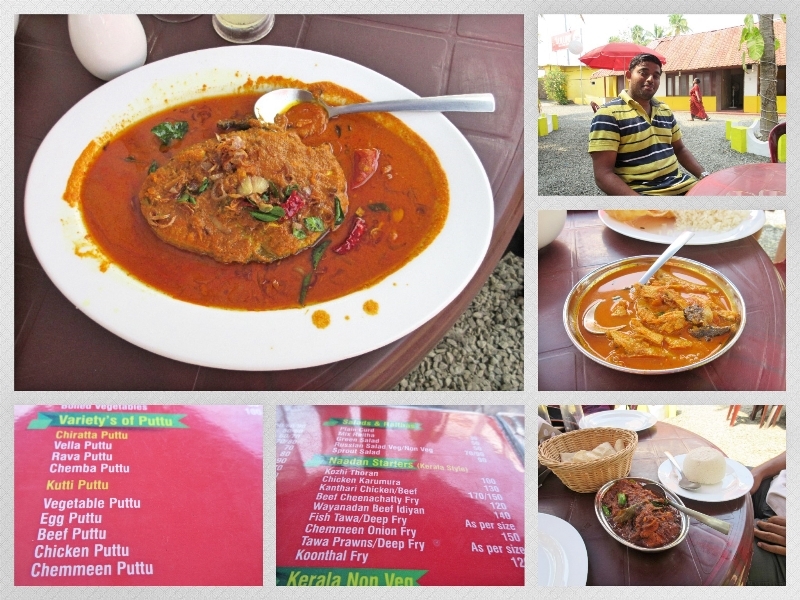 I pray that we go as a family to this place, The food looks yummy; David and fruity will surely enjoy the fish curry. Thanks for sharing this interesting post ! Corinne, are you sure your shouldn’t be writing for travel brochures? 🙂 Your detailed description of you vacation here made me feel as if I had been along, too, enjoying every moment. So glad Jose and you were able to treat yourselves to such a heavenly place. That’s how Danny and I feel about our mountain getaways. What a beautiful place – and that food! Oh my! So glad you had a chance to revisit a spot you enjoyed, and hope you get to do so again. Thanks for sharing your experience! Great article! When I return to India I will spend more time in the south. I love the madcap mess called New Delhi but this looks like a completely different country. And each region being so unique is what makes India incredible. What a fun adventure! It looks like an amazing place to visit! I’ll have to add it to my ever-growing list! Your pictures are gorgeous! The beach the fish, the food the churches and your descriptions all wonderful. I feel I went on a brief holiday this morning! A very comprehensive post with all info a traveller will need. Sounds like a wonderful place to visit. 🙂 Added to my list! Thanks, Archana. I keep thinking of things I might have left out and might sneakily up date it. The challenge was try to sort through the hundreds of pictures we took! Perhaps a picture post would be in order. I hope you enjoy the place as much as we did, if you visit! That Vallam curry fish looks yummy. How come you were allowed to click pictures at the fish auction. I was told that it was not allowed so I had to hide my camera. All the curries were yummy, Joe!